The best family and children’s portraits are obtained when everyone is relaxed and having fun. Our photo sessions are informal and you will find it easy to play with your children and forget about the camera. I will provide some subtle direction, making sure that you are in the best position and poses for the photos, while at the same time allowing you to interact naturally with each other. Have you heard about Lifestyle Photography? It probably has a number of meanings to different photographers, but to me it is about not always looking at the camera and capturing images to reveal a story – a story of your life & the love of your family. 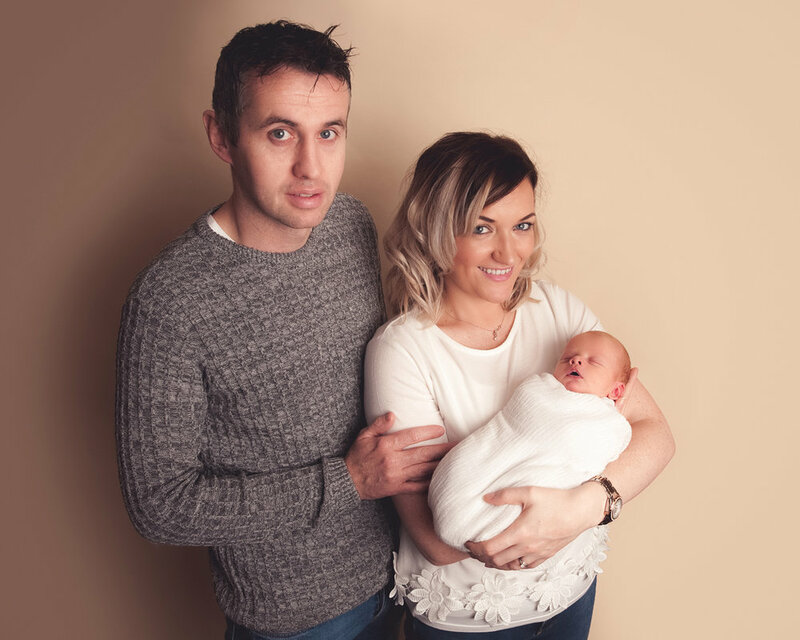 Your family photographs are taken at my studio based on the Culmore Rd, 3 Colby ave, Derry - L'derry, N'Ireland, BT48 8PF. The family session generally lasts about an hour or so, but I will continue until we are happy that we have the shots required. There are always breaks for snacks and drinks. Usually the more family members attending, the longer the photo shoot will take. Have your clothing chosen way in advance and make sure that your outfit choices are comfortable and attractive. What do your dream family photos look like? If they are soft and elegant? Pick neutral colors with soft, flowing fabrics…. think creams, very soft pastels, oatmeals, light browns, tans, grays, and slate blues. Want to showcase the fun and quirky side of your family? Choose coordinating colors (but not matchy, matchy) with bold accent colors, such as hues of gray with yellow or bright red accents. We recommend you avoid any clothes with big logos as they tend to stand out like a sore thumb is photographs. Adding fun accessories like headbands and hats, etc. can add a modern twist and a bit of flair to your images. Top tip: We recommend leaving the word "cheese" at home as it tends to lead to unnatural smiles. After your children & family portrait session, we need time to sort through the images and edit them. We will set up a viewing at our studio within one or two weeks after your session for a full viewing of your photographs to order some of our beautiful wall art and prints. After the viewing appointment we will also host your images in a private online gallery for your family members to view and order any additional prints for up to 7 days.